Hi! Here's a new one I made for my Redbubble store and for myself, really. 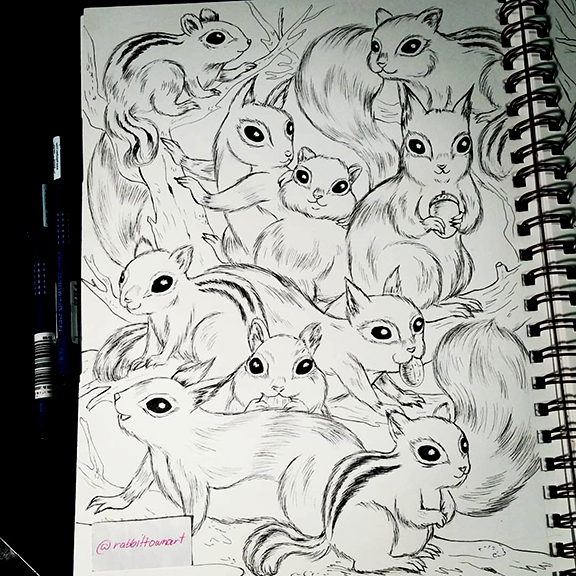 I felt like drawing squirrels and this came about. I think it turned out really well. The initial drawing was actually finished last Saturday, then touch ups late last night and finally had the chance to edit and color it today. I actually had to touch it up a bit. 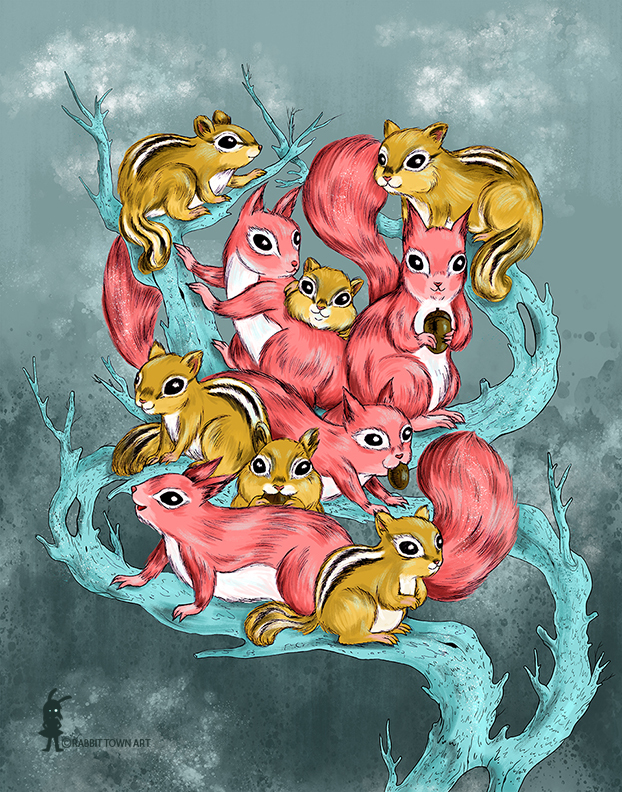 I had to make a lot of changes like extending branches and filling out the missing parts of squirrels and chipmunks digitally...not to mention the tree! I also worked on a Kookyrabbit post today. Tomorrow, am going to finish a small freelance job and...draw more of my own stuff until the next job (it's been delayed) makes an appearance!